Detective Zephyr Zuckerman is back In this tale of real estate and sordid romance, Zephyr and her posse of native New Yorkers tangle with the city, marriage, and their thirties. As Zephyr contends with something less than newlywed bliss, her parents threaten to sell the family homestead on West 12th Street and her boss dangles the prospect of deportation to the Midwest. 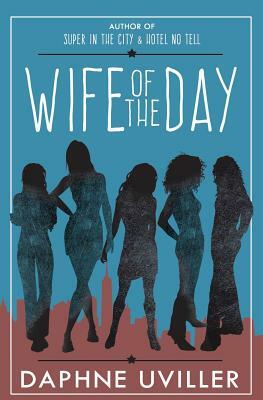 A beach read for the intelligentsia, Wife of the Day is a comic mystery and a portrait of today's Greenwich Village that investigates how much where we are is a part of who we are.